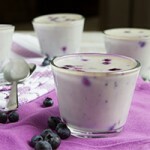 Cups of dairy-free, keto panna cotta, flavored with notes of keto white chocolate and sweetened with fresh blueberries. Boosted with collagen and gelatin! Friends! I’ve been feeling powerless these last couple of days. Last week, smoke from the forest fires in the USA crossed the border into Canada making our air quality really, really bad. 1 hour outside is equivalent to 4 hours in a car with a smoker… with the windows shut. Seeing the smoke cloud our skies has made me feel powerless in the face of natural disaster, but also so thankful that I’ve committed myself to my health; and the health of my family, to do everything in my power to limit our exposure beyond what radio and TV has been advising. This experience got me thinking of when I first started taking care of my body – when I realized that the way I was feeding myself wasn’t conducive to a long and healthful life. Something needed to change… and I felt powerless. I don’t wish this feeling upon anyone. Which is why, when I started to get a handle on things, I started HP so that I could share my pursuit with those that felt called to begin theirs, too. Over the years, I’ve been diligent in sharing the best of the best – keto recipes, keto videos, keto programs, keto guides, and powerful practices that make the difference. Like you, I value spending time with my family, taking care of our health and making steps toward healthful, keto change that don’t break the bank. Healing our bodies shouldn’t be reserved for the “elite”, which is why I do my best to provide you with all of the details of the most-powerful actions and strategies so that you can make a decision for yourself. 12 months ago, I was introduced to collagen. I dabbled in using it here and there, but never fully committed to it as I didn’t enjoy the taste and found it a bit too irritating to my gut. Then, I found Vital Proteins. 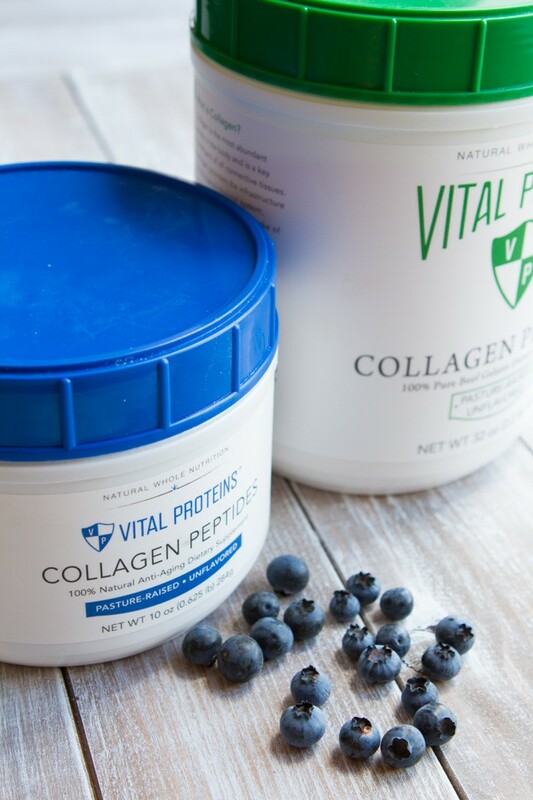 I had a scoop of Vital Proteins grass-fed collagen every day for 30 days and was pleasantly surprised with the subtle changes. Changes that only continue to improve as time goes on. Adding a scoop of Vital Proteins grass-fed, keto collagen into my tea, water, homemade keto lemonade (recipe in my keto book, The Keto Beginning), has changed so much for me looking back over the last 8 months since I committed to having it every day. My hair is stronger, my skin is softer (it’s never dry), my nails are stronger, I don’t get bloated as much, my digestion is stronger (less food irritation), and our grocery bill has reduced slightly because we don’t rely too heavily on various keto protein powders as much anymore. 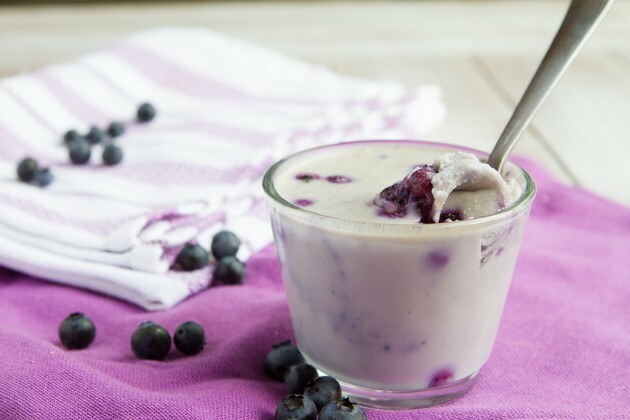 I’m so pleased with my collagen experience; as are all of my clients, that I created another collagen-based keto recipe for you to perhaps nudge you in the collagen direction with me. Not the “right” direction, just a direction that you may want to experiment with to see if it will work for you, too. 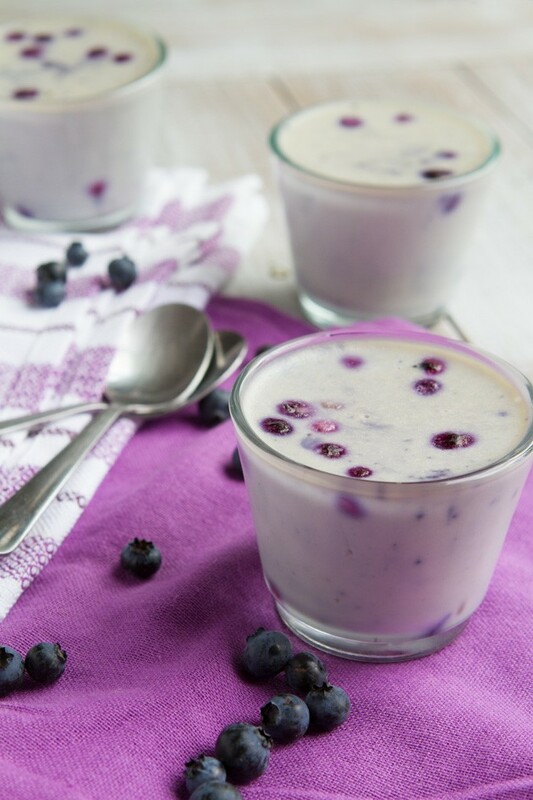 Cups of dairy-free, keto <g class="gr_ gr_84 gr-alert gr_spell gr_run_anim gr_inline_cards ContextualSpelling ins-del" id="84" data-gr-id="84">panna cotta</g>, flavored with notes of keto white chocolate and sweetened with fresh blueberries. 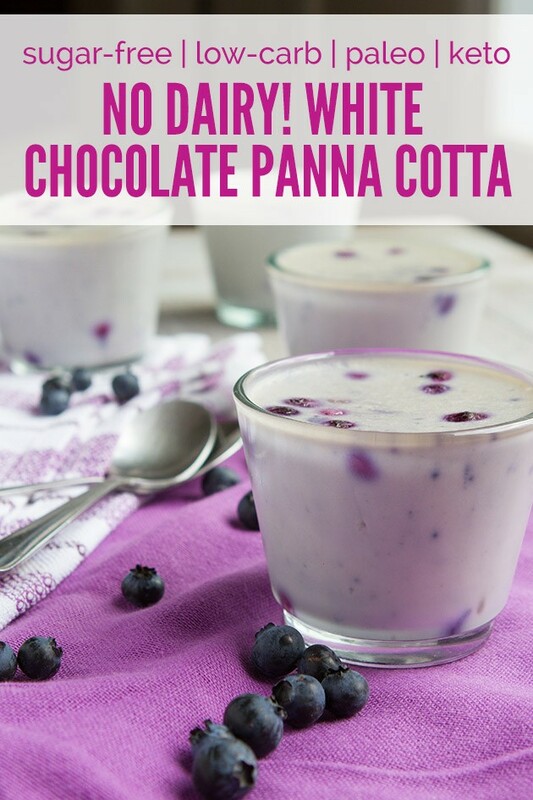 Cacao Butter: is the fat from chocolate which gives this low-carb, keto panna cotta it’s white chocolate flavor. 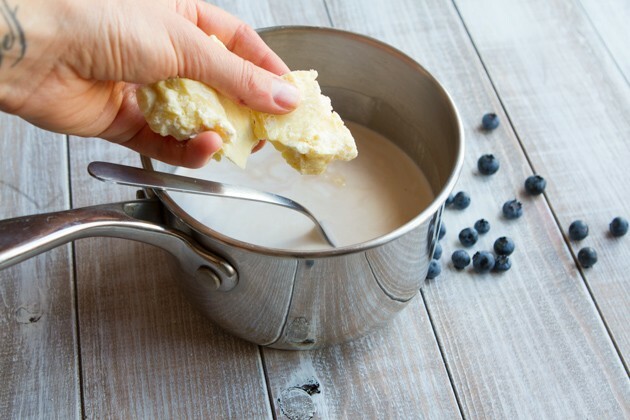 You could also use coconut oil, but it would change the flavor slightly. 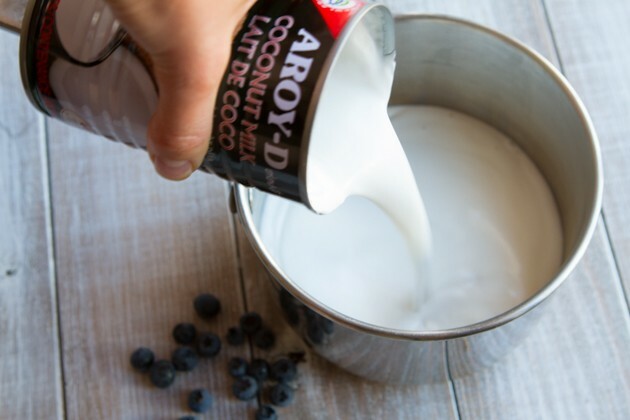 I recommend (and use) Aroy-D full-fat coconut milk because it’s the only one I’ve found that’s just coconut extract and water. No preservatives that make your gut feel funky! If you don’t have a good scale, this is what 55 grams of cacao butter looks like. If you’re sensitive to stimulants, you may react to cacao butter… be mindful and perhaps try cacao butter in the morning first to see if you react to it. 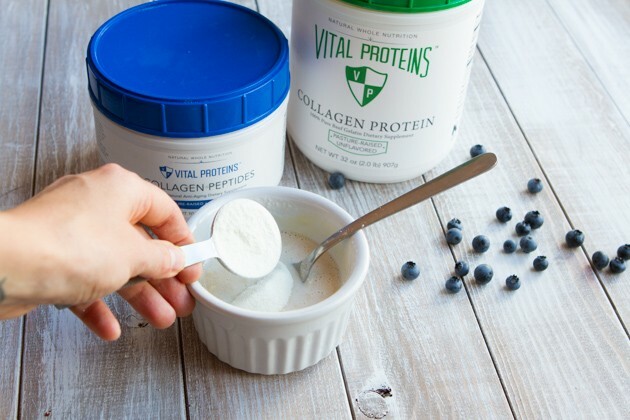 Combining the collagen and gelatin in a separate bowl ensures that you don’t have chunky pieces in your keto dessert. 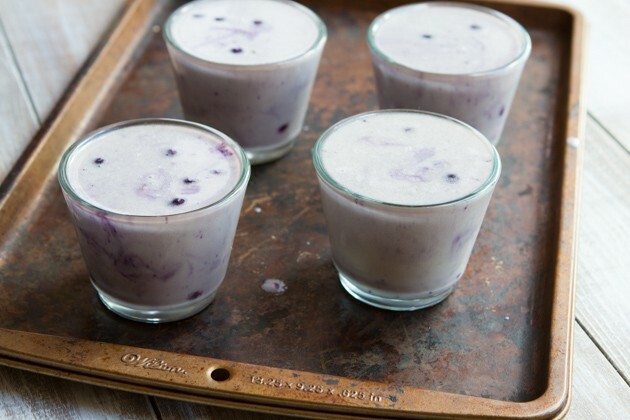 Once complete, pour into 4 cups and chill until you’re ready to devour.